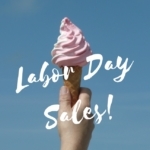 Before you get too involved with family picnics, fireworks and lazy beach days, this is a great week to shop the sales. While I probably won’t be hitting up the mall, I will be shopping online. 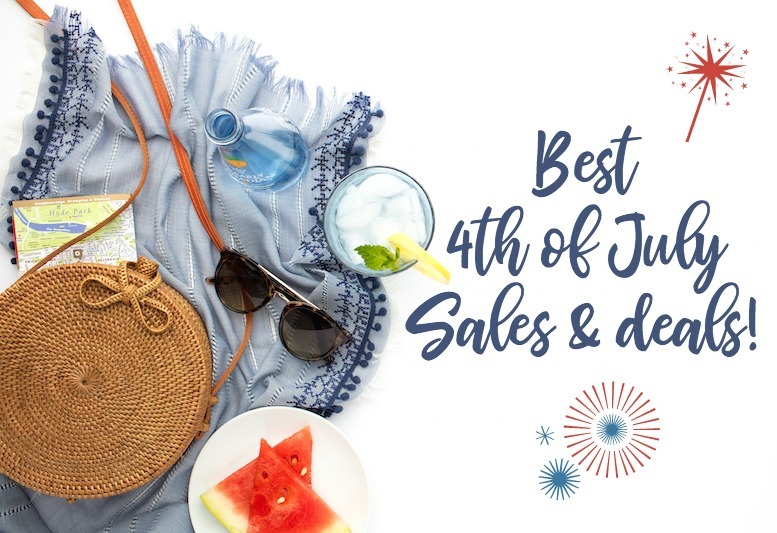 Here are some of the best 4th of July holiday sales and deals I’ve found. Anthropology – Freshly Cut Sale; save an extra 25% off sale styles. Bauble Bar – Save up to 70% off through 7/5. Crabtree and Evelyn – Buy More Save More event with $10 off $50, $20 off $50, $30 off $100 purchase. Dermstore 4th of July Sale – save up to 20% across hair, makeup and skincare categories. Use code FOURTH through 7/4 to stock up (brand exclusions apply)! SkinMedica is also offered at 15% off through 7/10. J. Crew Factory is featuring 50% off EVERYTHING for All Star Days! This sale is online only and some exclusions apply. Get an extra 15% off with code Superstar. June Jacobs Spa Collection – Celebrate the Fourth of July with 25% OFF your entire purchase through JuneJacobs.com! (7/2 – 7/8). Kate Spade The Bigger Sale – save extra 40% off sale items with code BIGBIGBIG through 7/5. Keds – Extra 20% off sale prices with code SALEONSALE. So many cute styles! Kohl’s – Buy One Get One Half Off on Beauty, online only through 7/4. Did you know Kohl’s has really upgraded their beauty offerings? Check it out! They carry philosophy now! LOFT – 40% off everything plus extra 10% off, plus free shipping with code HBDUSA. Macy’s – 20% off Macy’s Fourth of July Sale with code FOURTH, through 7/8. Nordstrom – up to 60% off select merchandise; find deals on beauty, too! Old Navy is known for their 4th of July sale; take 60% off the ENTIRE store! QVC has started their Christmas in July event with over 40 beauty offerings on brands such as BECCA Cosmetics, First Aid Beauty, philosophy and more! Sephora – The Sale page has many items with discounts of 50% and over. Pick up the Kat Von D I Am Divine palette for $23! Sigma Beauty – up to 60% off on their Sale page; look for the Buy More Save More event, starting 7/4. 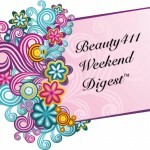 Skinstore – save up to 40% on select skin care, hair care and makeup, plus get 6 free holiday treats when you spend $100. SpaceNK – save up to 50% off a variety of luxury brands. 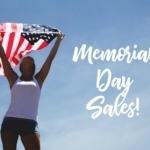 Target – 20% off clothing, shoes and swim through 7/4, with promo code JULY4. Tory Burch Summer Sale – save up to 50% off. ULTA Summer Sale (online only) – save up to 60%; ends July 4th. Tons of amazing deals! Urban Outfitters – take an extra 30% off ALL sale items and there are beauty offerings, too. Wayfair – July 4th Blowout, sales up to 70% on just about everything you could need for your home. Will you be shopping over the holiday? Let me know if you score a great deal! Disclosure: Affiliate links have been used in the post; see Disclosure Policy for additional information. Disclaimer: Check individual websites for all terms, conditions, and details regarding sale offerings and dates. Cyber Monday Deals and Steals! 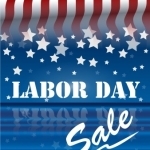 The Best Labor Day Sales 2015!